The best vinyl night in the city returns, this time at Amigo's Cantina just off Broadway. 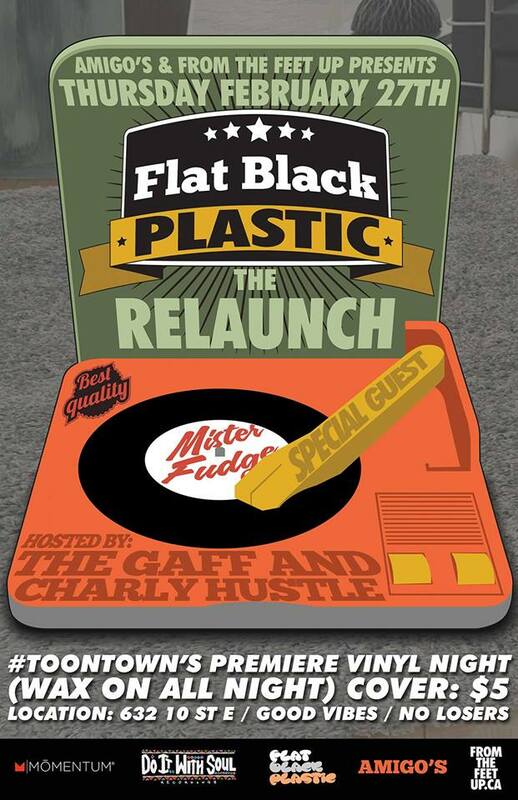 The Gaff & Charly Hustle will be joined by Mr.Fudge for their first night at Amigo's. Mark off the last Thursday of every month in your calendars going forward, this is not a night to be missed. The LadyShow is a celebration of some of Saskatoon's great emerging and established female talent. It features the talents of 2014 LadyShow bursary recipient, Lindsay Anderson, along with Alissa Arnason, Emma Jean & Bri, Meaghan Bentley, Kjelti Katherine, and jeans boots. Tickets: By donation, proceeds support the Girls Rock Camp Saskatoon. Beaumont Film & Record acquired over 40, 000 used records from the closing of Tramps in the summer of 2013. They're downsizing their collection, and selling every used record in the shop for $1. Additional promotions available in-store.